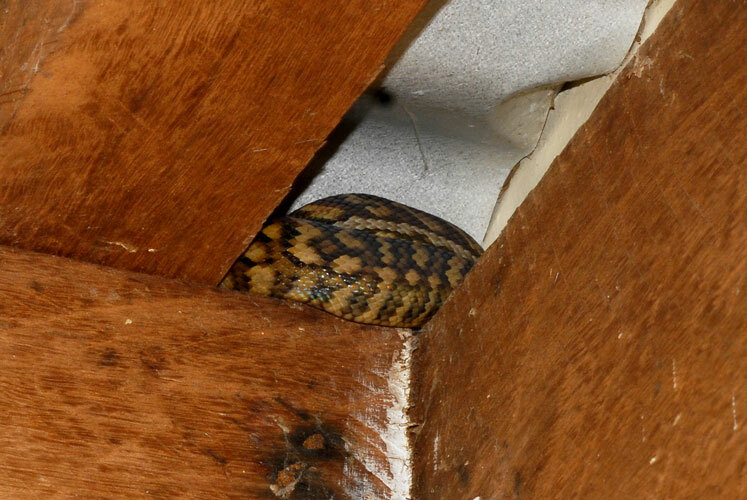 A Snail's Eye View: Snake news! One of the convenient things about living in the rainforest its that wildlife comes to you. This carpet snake was looking for somewhere to digest its meal. This young scrub python found a spot to sleep. 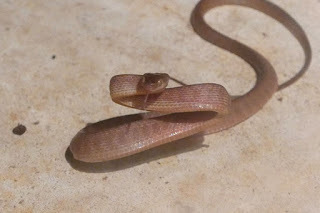 An adult brown tree snake went foraging for food in the laundry. This baby brown tree snake wanted me to know who was boss. 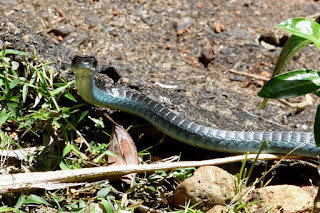 A blue phase green tree snake. Very handsome. You should have seen it IRL! 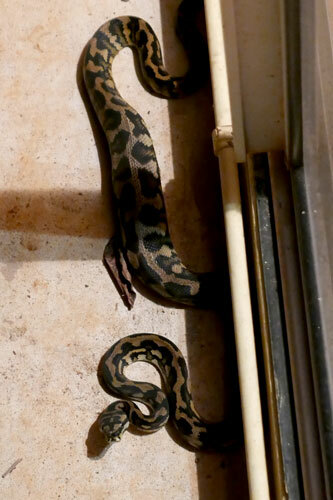 The carport was festooned with shed skins, because that's a good place to hang out. Also hang down. 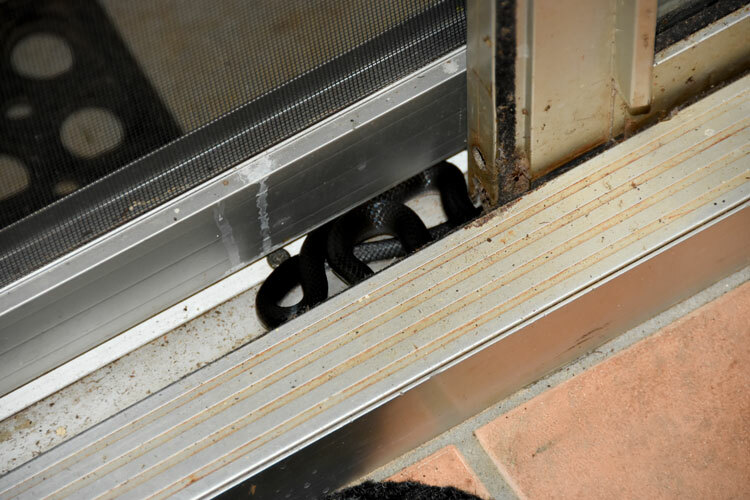 All those stayed outside, but this small-eyed snake found a spot on the threshold. 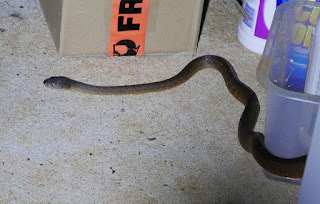 And one large and feisty red-bellied snake made itself at home in the living room for quite a long time until I finally called the snake catcher. 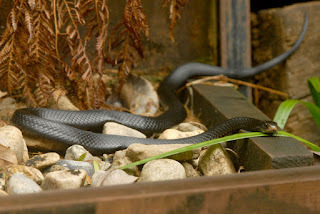 Here it is on the garden steps, making plans. Not pictured: northern crowned snake, which was the first species I saw at this place. They're all welcome, of course. 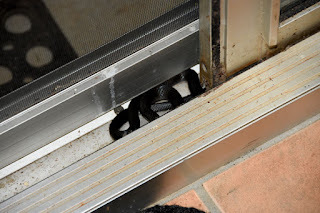 As long as they remain on the other side of the door. Nice collection of visitors. We've had quite a few snakes this last few months. 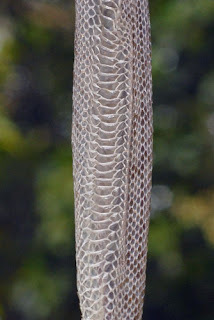 Mostly Tiger snakes and Copperheads. I'm glad that we don't get tiger snakes and copperheads (and taipans!) here.